Rockport: Members of the Rockport Garden Club Plant clean up of whats left of a very successful plane Sale held Saturday morning at the Rockport Community House. Where a wide selection of annuals, perennials, shrubs, herbs, bulbs, house plants, hanging baskets and vegetable seedlings will be available. 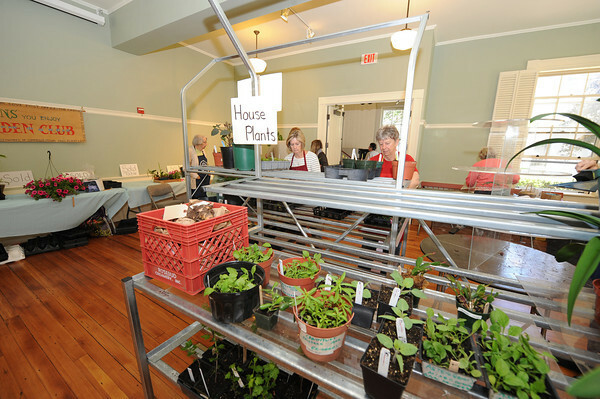 Proceeds fund planting and maintenance of Rockport's 12 town gardens, various civic projects and several scholarships. Desi Smith/Gloucester Daily Times.